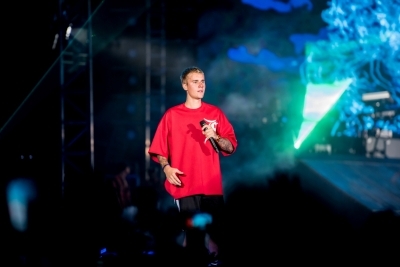 Los Angeles Sep 16 (IANS) Canadian singer Justin Bieber who has sparked rumours of a secret wedding with American model Hailey Baldwin is applying for US citizenship but wants to remain a Canadian citizen too tmz.com reported. It quoted unnamed sources as saying that he had deep love for the US and appreciation for the country where he became successful. He was born in Ontario Canada but moved to Atlanta when he was 13. He s been in the US ever since. Meanwhile the singer has bought an estate worth $5 million in Ontario.